Cheveley Park Stud’s managing director Chris Richardson has reflected on an excellent Cheltenham Festival for the leading owners. The easily identifiable red, white and blue colours have been carried to victory in some of the biggest races on the Flat by greats such as Medicean, Pivotal and Russian Rhythm. Over the past couple of years owners David and Patricia Thompson have spent big in the National Hunt sphere and their investment was rewarded in the Cotswolds last week. The Cheveley Park colours were carried into the Cheltenham winner’s enclosure for the first time by the Henry de Bromhead-trained A Plus Tard in the Close Brothers Novices’ Handicap Chase – a first Festival winner for leading Irish jockey Rachael Blackmore. And the owners doubled up the following afternoon as Gordon Elliott’s Envoi Allen justified favouritism in the Champion Bumper. Richardson said: “Mr and Mrs Thompson were delighted. It’s a dream to have a runner at Cheltenham, so to have two winners and a third from just five runners is amazing and a huge boost for them after the investment they have put into jumps racing over the last year or two. “They have had a few runners over jumps over the years, but most of them ran in the colours of Mrs David Thompson. The Cheveley Park colours are obviously more recognisable and to see them carried into the Cheltenham winner’s enclosure was very special indeed. “All credit to the trainers and jockeys, and obviously it was special to give Rachael Blackmore her first Cheltenham winner. “We all know the lows in this game can be very low, so the good days are that bit more enhanced. Envoi Allen gives @CoddJJ his second winner of The Festival™️ presented by @MagnersUK. Irish point-to-point graduate Envoi Allen was one of Cheveley Park’s most expensive National Hunt purchases at £400,000, but he has lived up to his price tag so far – winning each of his four bumper starts. Richardson added: “Envoi Allen is an amazingly game horse. It was similar to Leopardstown the time before in that he was on the lead throughout and when they came to him he pulled out that extra bit of courage to see them off. 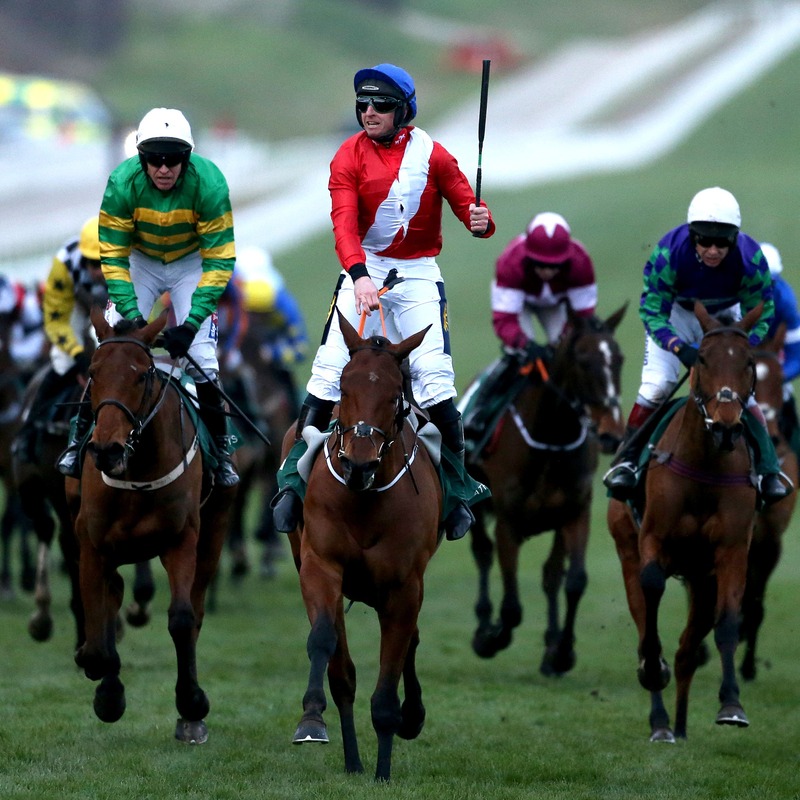 Richardson confirmed A Plus Tard could run at next month’s Punchestown Festival, as could Allaho – who finished third for Cheveley Park and Willie Mullins in Friday’s Albert Bartlett. Of the latter, Richardson said: “He ran very well. I think Willie was a bit disappointed he didn’t finish a bit closer actually, but then he went and won the Gold Cup. “He’s still a bit inexperienced and Ruby (Walsh) said he jumped one hurdle very well and the next he jumped like Becher’s Brook!